Graphene 3D Lab Inc. has announced that it has received and successfully assembled an industrial scale thermoplastic extruder line to be used in the production of conductive graphene filament. The equipment, which has a production capacity of up to 10 kg per hour of 3D printer filament, is now operational and has been tested for the production of specialty filaments. 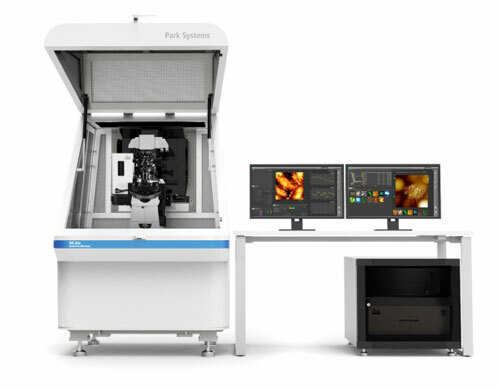 Park Systems, a leading manufacturer of atomic force microscopy (AFM) and nanoscale metrology products, proudly introduces Park NX-Bio, a powerful 3-in-1 bio-research tool that uniquely combines scanning ion conductance microscopy (SICM) with AFM and an inverted optical microscope (IOM) on the same platform. Visitors to the Toyocolor booth at 5E-15, East Hall, will get a chance to see the latest developments in the company's nanotechnology-related products and solutions based on Toyo Ink Group's core technologies, in particular its original dispersion technology. This application note reviews how recent advances in next-generation AFMs from Asylum Research including the MFP-3D Infinity and the Cypher ES have enabled scientists to learn even more about polymeric materials. 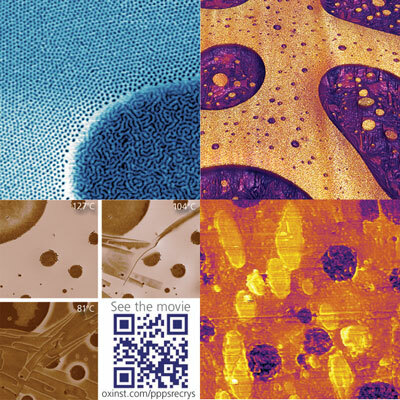 These include new modes to characterize mechanical, electrical, functional and thermal properties as well as the ability the visualize dynamics driven by chemical and thermal stimuli. With the additional support of OCSiAl USA, the competition heretofore restricted to the European Union has expanded to a global level from January 2015. Advanced nanobiotechnology enables safer use and greater bioavailability of NSAIDs for treating inflammatory disorders. 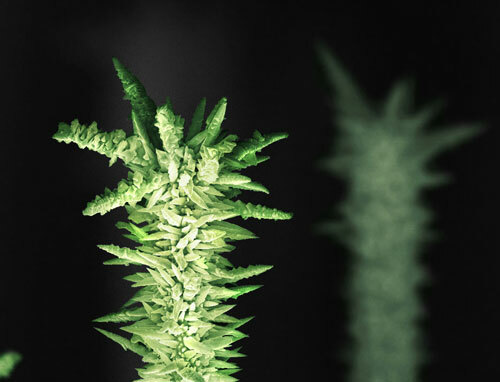 Oxford Instruments Asylum Research announced the winners of its AFM Image Contest. Congratulations to the Grand Prize winners Jessica Bickel and Kathy Aidala of Mount Holyoke College for their image submission of magnetic force microscopy of cobalt nanoribbons. 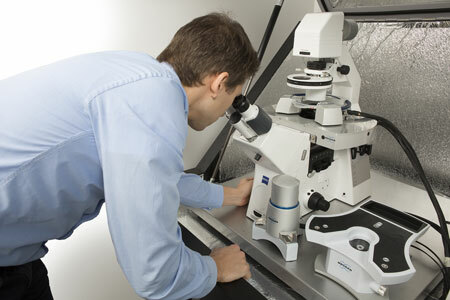 Bruker announced the release of BioScope Resolve, a biological atomic force microscope (bioAFM) that features the highest resolution imaging and most complete cell mechanics capabilities available for use with an inverted optical microscope. The goal is to test on field Graphene Plus, a range of graphene-based material produced by Directa Plus for water, soil and air treatment in case of organic pollutants' contamination. This latest agreement between imec and Synopsys follows successfully completed collaborations on FinFET and 3D-IC technologies for the 10-nm and 7-nm technology nodes. 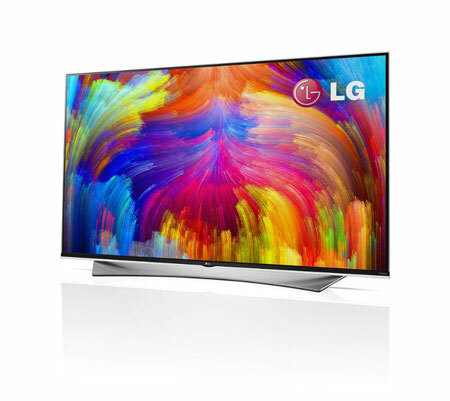 LG Electronics will unveil a new 4K ULTRA HD TV series with quantum dot technology as a new component of its expanded TV lineup at the 2015 International CES, Jan. 6-9 in Las Vegas. Picosun Oy, a leading provider of high quality Atomic Layer Deposition (ALD) equipment and solutions for global industries, now offers ALD systems for production-scale coating of powders. 2-DTech has been awarded a grant worth GBP 98,000 from InnovateUK to carry out research relating to graphene being integrated into solid state dye-sensitised solar cells. As a result, the company is linking up with solar technology specialist Dyesol in order to undertake this new, high profile project. Scientists from Edinburgh Napier University and Sappi have developed a low cost way to turn wood into a nanomaterial that could be used to build greener cars, thicken foods and even treat wounds. OCSiAl launches online store for nanoadditives. Lomiko announced it has signed an agreement to invest in a new graphene-related venture, Graphene Energy Storage Devices, a U.S. Corporation.